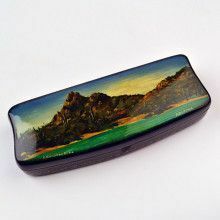 This interesting and new Russian lacquer box was made using traditional techniques with paper-mache. 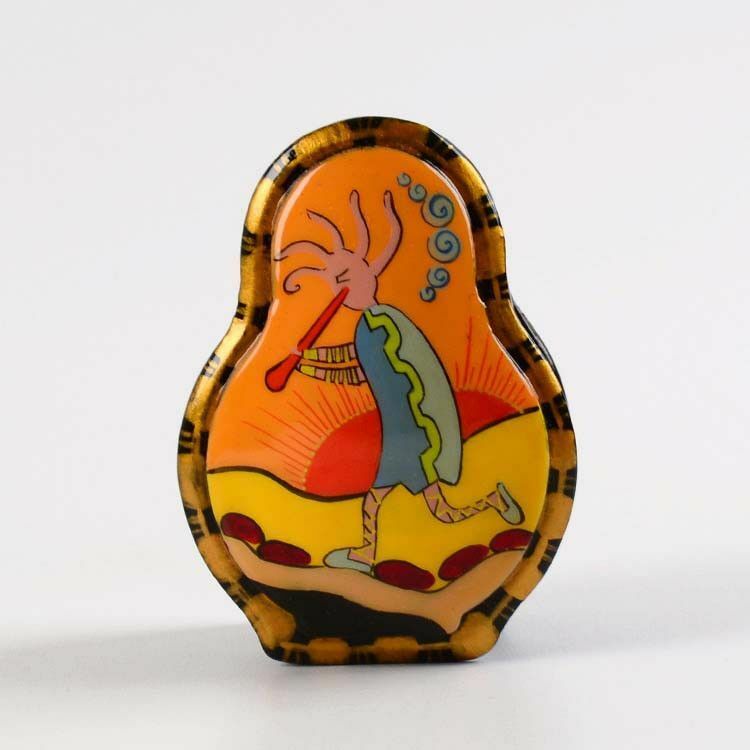 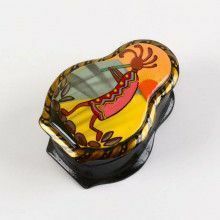 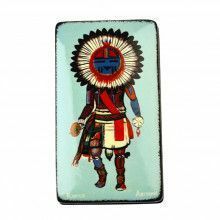 It features a Southwestern design of a kokopelli against a an orange sunset or sunrise. 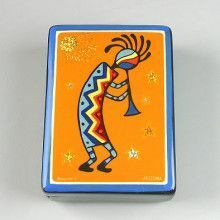 Kokopellis are fertility deities (for pregnancies or for agriculture) and also represent the spirit of music. 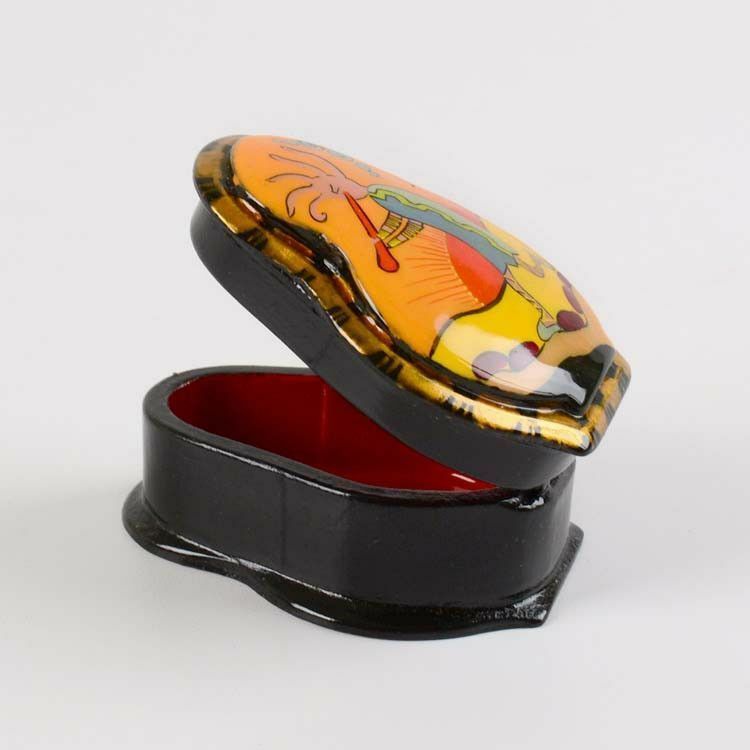 This lacquer box is shaped sort of like a nesting doll and has the classic red interior. 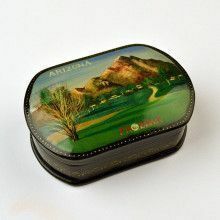 It opens and closes easily with a hinge, and is about 2 1/2" long x 2" wide x 1 1/4" high.